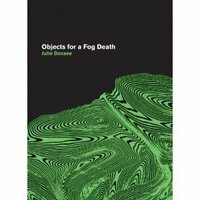 Julie D is coming all the way from MFing Turkey to read from Objects For A Fog Death (Black Ocean, 2010). Listen. It’ll be down town and classy like.